The science of learning is an interdisciplinary field of study that examines, among other things, how people learn. It provides evidence of a significant reciprocal relationship between neurological dominance and why people learn, think and behave differently, why we process information uniquely and why we are smart in different ways. Your Neurological Design matters! Therefore, anyone responsible for identifying and selecting talent, developing talent and improving performance of others should strengthen their understanding of the concept of Neurological Dominance and how the dominance of different brain areas and sensory dominance provides a framework for understanding people’s unique learning potential, preferences and how to optimize their performance. This framework helps people identify and understand their natural talents and personal preferences and those of colleagues, peers and managers. It also has numerous applications for relationships, teamwork and whole brain communication. Alignment between people’s neurological dominance and what they do, explain why people are passionate about their jobs, energized, enjoy work and are engaged and in flow. Neurological dominance is a very natural part of our design. All people have a unique genetic coding which will influence a genetic predisposition towards which hemispheres, lobes and senses will lead (dominate) when processing information. When one person speaks to another and the other person cannot hear clearly, this person may slightly turn one ear towards that person to hear better. This response indicates an auditory dominance response. 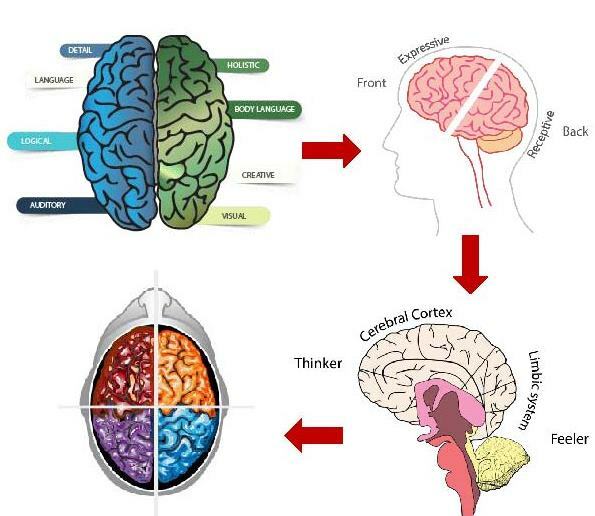 It illustrates that although we have two brain hemispheres, ears, eyes and hands, and use both to process information, there will always be the dominant brain hemisphere, eye, ear or hand that takes the lead to process information actively while the other one follows, processing information more passively. Just like the muscles you use most become stronger, so does the brain hemispheres and senses that lead when we process information and learn, become dominant. As people learn and develop, we strengthen neural networks that connect different brain regions and the senses we prefer to use, making certain parts lead stronger and others follow. As a result, we develop physiological preferences for using some brain hemispheres, brain regions and senses over others. These neural networks make it easier to think, learn and create in ways that are consistent in our preferences, hence the reason why all people think, learn and act in different ways. Dominance is essential to our survival and how we think, learn and behave; as it provides us with an automatic response in any given situation, especially stressful situations. It helps us understand our preferences. Based on our unique neurological wiring and coding, all people have different preferences of brain hemisphere, eye, ear and hand dominance that leads to different combinations of how people process information. This is not to be confused with popular “learning styles” theory. An accurate understanding of our neurological dominance patterns of brain hemisphere, eye, ear and hand dominance, helps us understand the very foundations of our personalities. It explains the ways in which people differ and how to improve their effectiveness by learning how to understand themselves and others and how to adapt to others. Neurological dominance has numerous applications in the areas of potential identification, talent selection, talent development, performance improvement, relationships and team functioning. Learning starts when information is absorbed through the senses, but more actively processed through the dominant (leading) senses to the different sensory lobes at the back of the brain. From there it is processed to the expressive centers of the frontal lobes. This information is constantly organized in neural pathways. All people learn as described above, but process information in different ways based on their unique combination of dominant brain hemisphere, expressive-receptive preference, rational-emotional preference, sensory preferences and intelligence preferences. Your amazing neurological design (from here on referred to as your neuro-design) is as unique as your fingerprints. It comprises of the strengthened neural networks between the dominant senses and various preferred brain regions that form a specific blueprint of how every individual prefers to process information in a unique way. Among others, a person’s neuro-design consists of the unique inter-relationship between lateral dominance, expressive-receptive preference, rational-emotional preferences and the implications of how these uniquely strengthened pathways lead to four different brain, thinking and learning languages. Furthermore, there are at least sixteen different combinations of brain hemisphere, eye, ear and hand dominance that causes people to process information differently when they learn. It becomes a person’s blueprint for learning, thinking and how they behave. It will determine whether a person has access through their dominant senses to their dominant brain hemisphere during stress, or if they may experience a neurological hindrance that inhibits electrical transmission between the senses and the hemispheres. Added to the unique processing style of each person, is the specific emphasis on, and sensory preference for visual, auditory and kinesthetic learning. Another component of a person’s neuro-design that makes them learn, think and behave very differently from others, is their unique combination of intelligence preferences. 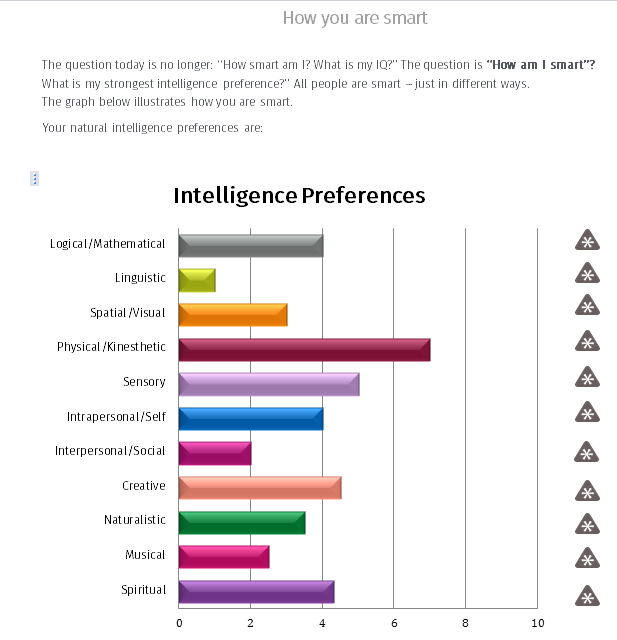 Experts like Howard Gardner, Dona Zohar, Tony Buzan and others have done ground breaking research that provides evidence of at least eleven different intelligence types. Einstein was science smart. Mozart was music smart. Mandela was interpersonal smart. All people are smart, but in different ways. When there is miss-alignment between who we are (our neuro-design) and what we do, we work because we have to, not because we want to. We may even be good at what we do, but may not enjoy what we do. Based on various surveys and research on employee engagement across the globe, this seems to be the truth for the majority of workers. From a neuroscience perspective this will cause us to produce inhibiting chemicals that will act as bad fuel for the brain and therefore negatively impact our immune system and deplete our energy. Fit matters. When there is alignment between your natural neuro-design and what you do, you are engaged and passionate because you want to, not because you have to. From a neuroscience perspective, passion is good fuel for the brain and body as you produce neurotransmitters that are good for energy, brain health and your immune system. To live a life aligned with your neurological design, requires accurate awareness about the factors that make up your neuro-design. It will help you live an authentic, happy, fulfilled life. Understanding how these seven factors make up your unique neuro-design will give you an indication of how you are naturally talented and your unique learning potential. Optimizing brain performance, starts with alignment between potential and the skills you learn. If a person has the natural preference to be logical/mathematical smart and learns appropriate math skills and works in a place where that potential and skills are utilized, like being a scientist, the person may become very passionate, engaged and good at what he does. If that same person never learns appropriate math skills that are aligned with his natural mathematical intelligence potential, that person may never be passionate and well engaged in what he does. Thus: the journey to self-mastery and excellence starts with accurately understanding your neuro-design (potential). People make companies great. To grow a company from good to great, the talent development professionals in that company need to grow and develop happy, engaged workers who are top performers. This journey cannot start at any other place than starting with accurately identifying the learning potential (neuro-design) of each individual and then developing appropriate learning solutions for every individual to change their unique potential into competence. Potential plus general skills develop average competencies. Providing workers with appropriate skills that are aligned with their unique neuro-design and very well repeated, reinforced and practiced will help companies grow high performing individuals for specific roles and contributions that will impact the business profoundly, moving them from good to great performers and eventually becoming masters of their trade. It is clear therefore, that the journey to excellence and self-mastery begins with accurately identifying your amazing neurological design. Are you interested in learning more about neurological dominance and discovering your amazing neurological design? Read more about Neuro-Link’s unique neuro-metric assessments. 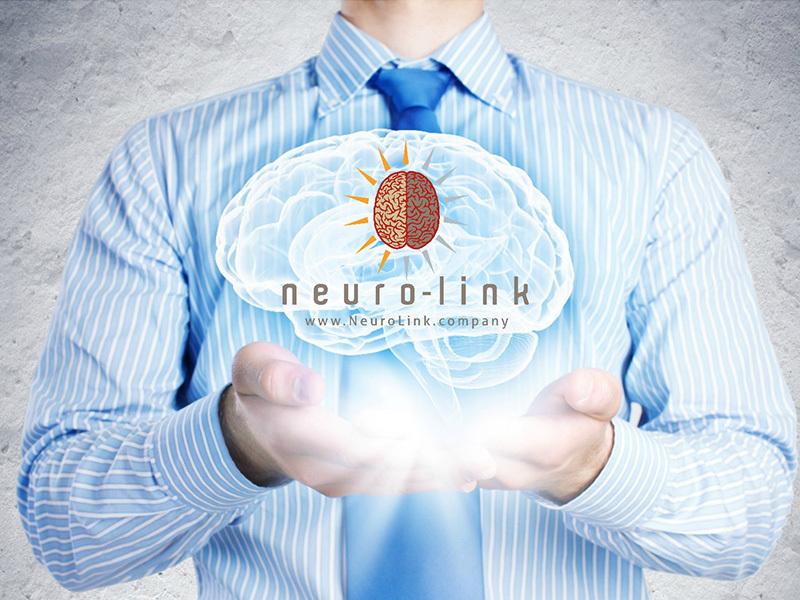 Neuro-Link also offers Brain Profile Practitioner training to professionals like educators, therapists, counselors, L&D practitioners, consultants and businesses to develop talent and improve performance.